Selecting the right health plan can often be an overwhelming experience. While all seniors are eligible for Medicare coverage, it’s important to note that every plan is not the same. To get the level of care necessary and to make sure that expenses are kept as low as possible, it is essential to look at all options available, with consideration to what level of care is actually needed, and pick the plan that will provide the level of coverage necessary. Evaluate prescription needs. Take stock of current medications prescribed and make sure that they are covered by the plan selected. If the plan that is selected is Original Medicare, then a Part D plan should be purchased separately. Be aware of penalties for late enrollment. Pick the right plan type. 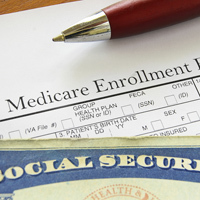 There are two types of plans; Medicare Advantage and Original Medicare. Enrollment period. For most seniors, the enrollment period is from three months prior to the 65th birthday through three months after the birth month. If enrollment is not accomplished in the right time frame, late enrollment penalties may be incurred. If you or a loved one is having trouble wading through the options, get help! Here in Florida, there are organizations set up to help Seniors get the information they need. You can start with the Florida Department of Elder Affairs at 1-800-963-5337 or at information@elderaffairs.org. In Martin County, the Council on Aging of Martin County at the Kane Center can be reached at 772-223-7800. The Palm Beach County Division of Senior Services can be reached at 561-355-4746. These organizations have case managers and information desks available that can help seniors identify services that are available to help them lead full lives. Take a look at US News & World Report’s article “7 Ways to Maximize Your Medicare” for more great tips to help you make the most of your health coverage.